Today on a daily basis, personal memoirs of ongoing encounters of government crackdown and resistance in Iran are being written in print and in cyberspace by countless Iranian civil rights activists, scholars and women human rights defenders. In the process of finding a new transitional global identity, Iran state authorities have steadily continued in the use of legislative delays, reversal of legal means and arrests of dissidents, activists and journalists. Younger, as well as older, women human rights defenders, are now finding themselves victim to increasing intelligence policies of non-disclosure, intimidation and repression. The IRI (Islamic Republic of Iran) state detention policies act as only a surrogate solution to many of the social problems now growing inside the country. Human rights groups and international rescue teams watch as the list of detainees grows longer, as women have become targets in a shifting Iranian system of legal sanctions. A clear crisis in the prison system inside Iran is growing. As sports stadiums closed the doors to women attending sports events; as family courtrooms denied the rights of women to custody in divorce; as “proper” women’s dress became part of a hidden discourse of Iranian social criticism calling dress code enforcement officers “Chastity Guards” and “Morality Police;” women working in the field of speaking publicly on the issues of gender equality have been placed in ever increasing danger. “The women’s rights movement has borne the brunt of this repression, in particular since the launch of the ‘One Million Signatures’ Campaign, in August 2006. This campaign seeks to provide education on women’s rights at the grassroots level and to obtain a repeal of discriminatory laws against women. To this end, the Campaign collects signatures that it plans to submit to the Parliament,” said the International Federation for Human Rights in an August 2007 appeal to the IRI. The IRI is “in full compliance with the relevant international commitments it has taken on in a genuine and long-term approach to safeguard human rights,” said Secretary General of Iran’s High Council for Human Rights, Mohammad Larijani, at a recent United Nations review of human rights violations at the February 2010 UN Human Rights Council session in Geneva. If a woman collects signatures on a petition to change discriminatory laws in Iran, she is currently likely to be detained and sentenced to prison terms. Upon release, if it has been decided that she could leave incarceration, bails are set at a high and publicly punitive amount. Access to family, to legal council and to dignity in these cases have been largely undermined. Teaching human rights and legal rights education to women in Kurdistan, Hana Abdi had gathered, before her arrest, signatures in a nationwide effort to remove discrimination against women in Iran. Abdi’s sentence of exile was pressed forward after she communicated with the outside world about conditions during her imprisonment. “Based on the testimony of Abdi’s family, she was tortured while in solitary confinement,” said an October 2008 report by the International Campaign for Human Rights in Iran. Attempts by IRI government agents to censure speech that outlines human rights causes and discussions inside the country, and globally via the internet, has caused the website for the Campaign for One Million Signatures (also known as Change for Equality) to be filtered from appearing online 23 times. Iran’s Corruptions Perception Index 2009, reported by Transparency International, in an expert study which monitors democracy and freedom of the press worldwide and its affects on world poverty, has showed a lowered ranking of press freedom in Iran since 2006, as IRI ranking lowered from 2.8 in 2006 to 1.8 in 2009. Out of 180 nations, the IRI ranks near the lowest sector of countries for press freedom at 168. Although Iranian women currently hold seats in parliament, they do not enjoy the same political rights as men. Women are barred from serving as judges and are routinely excluded from running for office. Women also face systematic discrimination in legal and social matters. A woman cannot obtain a passport without permission of a male relative or her husband, and women do not enjoy equal rights under Sharia law statutes governing divorce, inheritance and child custody. A woman’s testimony in court is given only half the weight of a man’s. The public call by human rights organizations and world government bodies for the freedom of prisoners of conscience in Iran, both men and women, asks for culpability and transparency. Names of state and non-state officials who have perpetuated violence against IRI state prisoners have yet to be released. Even as limited news reaches the public about the incarceration and imprisonment of women in Iran, a distinct public outcry has risen globally. On January 13, 2010, after days of incarceration at the Vozara Detention Center, following a January 9 arraignment in the Revolutionary Court, the remaining members of thirty-two arrested Mourning Mothers of Laleh Park, were released. The Mourning Mothers are mothers who have come together once each week in Tehran’s Laleh Park, walking with candles in silent night protest, after the death, arrest and/or disappearance of their grown children. Existing as a clear future warning to women who have been incarcerated, open files on other women rights defenders are also being kept by the office of the IRI judiciary. The Mothers, who have demanded accountability from the IRI state to investigate the death of their loved ones, have been treated harshly and unfairly. In the process they have been harassed, beaten, arrested and detained, denied medical attention and the right to legal defense. Five Mourning Mothers are still under detention, and have been there for almost one month. They are Ms. Omobeyne Ebrahimi, Ms. Elham Ahsani, Ms. Fatemeh Rastegari, Ms. Laila Seifalahi and Ms. Jila Karam Zadeh Makvandi. One of the Mothers, Ms. Zinayee, has not been heard from since January 8. Despite these conditions the Mourning Mothers are continuing their petitions for transparency. The 2009 World Press Freedom Index for the IRI ranks near the bottom. At a ranking of 172 Iran barely tops the worst country freedom of press ranking of 175, by the African nation of Eritrea. Continued Iran government policies include “censorship, confiscation of issues, searches and harassment,” as well as the existence of a state owned news media. While women experience unjustified detention in Evin, and other prisons in Iran, many women also live in the shadow of an Iranian social system of “patriarchy.” Events, such as stoning, honor killing, domestic violence and harassment at home and in public, reflect the extent in the limits of rights for women inside the Islamic Republic of Iran. Conditions in prisons located in numerous regions in Iran are questionable. “The official capacity of prisons in Iran is 80,000 but the actual number of prisoners in the country is double the capacity,” said Payvand News in 2005. While Section 3, Article 20 (“The Rights of People”) of the IRI Constitution states, “All citizens of the country, both men and women, equally enjoy the protection of the law and enjoy all human, political, economic, social, and cultural rights, in conformity with Islamic criteria,” Iran’s official constitutional commitment on issues of human rights has appeared flawed and on the years, yet to be proven. The concept of women’s imprisonment transcends prison walls. Trauma and cruelty inflicted on women political prisoners, and all other prisoners, inside the notorious prison walls at Evin, reflect how Iran also embraces human rights and human dignity outside its prisons. But as the Iranian narrative of nail and hammer represses and violates the rights of women, women work harder to demand their rights, to ask for their fair share of Iran’s public space, to attain higher education, to be a more active agent of change in their life, in the lives of their children and the improvement of Iran’s larger society. 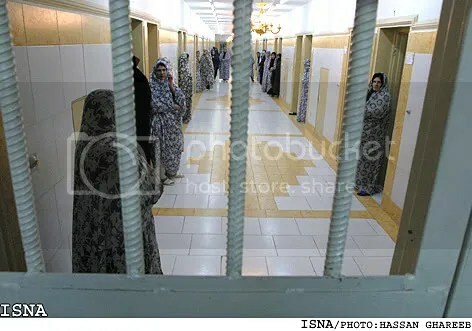 To bring focus to the situation of women prisoners of conscience in detention in Iran, The Campaign in Defense of the Iranian Women’s Rights Activists began its work on January 23, 2010. This transnational campaign has been initiated by a group of women and men in Iran and other countries who believe in equal rights and are determined to do all they can to help free women’s rights activists imprisoned inside Iran. Of particular concern is the safety and wellbeing of those detainees about whose whereabouts no information is available. 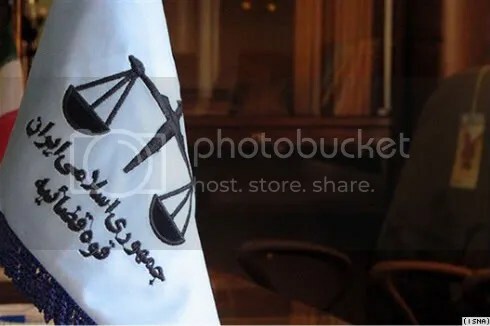 The Campaign is carried out in honor of many imprisoned women’s rights activists, such as Mansoureh Shojaee, Samiyeh Rashidi, Mahin Fahimi, Zohreh Tonkaboni, Parisa Kakaee, Aliyeh Eqdamdoust, Bahareh Hedayat, Mahdiyeh Golroo, Shabnam Madadzad, Maryam Zia, Parvaneh Rad, and tens of others who are in jail “only because of their quest for equal rights and democracy,” says the Campaign. “According to prison officials, there are 2,575 men and 375 women in Evin jail,” said the BBC News in a June 2006 report. It is certain that these numbers are have grown as crowded conditions rise since the June 2009 IRI elections. Director of the Woodrow Wilson International Center for Scholars, Middle East Program, Haleh Esfadiari, discusses with honesty her feelings about the state of affairs in Iran and imprisonment of political prisoners along with descriptions of her own 2007 imprisonment at Evin Prison. In 2007, Esfandiari was detained, in solitary confinement, in Evin Prison for more than 110 days, between May 8 and August 21. This August 2009, 9:02 min video is a Foreign Exchange TV production interview by news anchor Daljit Dhaliwal. Staff journalist for Women News Network – WNN, Elahe Amani, is director of Technology for Student Affairs at California State University. She is also a 2007 Lillian Robles Award winner for her outstanding community service, social education efforts and feminist activism and is co-chair of Women Intercultural Network (WIN). Additional portions of this article have been provided by humanitarian journalist and rights advocate, Lys Anzia, Editor-at-Large for Women News Network – WNN. Additional sources for this article include UN-OHCHR – United Nations Office of the High Commissioner for Human Rights, Payvand Iran News, Amnesty International, Iran Focus, Woodrow Wilson International Center fro Scholars, The Wall Street Journal, International Campaign for Human Rights in Iran, Change for Equality, Human Rights Watch, Transparency International, Embassy for the Islamic Republic of Iran, Ottawa, Canada, Reporters Without Borders, BBC News, WLUML – Women Living Under Muslim Laws and WLP – Women’s Learning Partnership for Rights, Development and Peace.